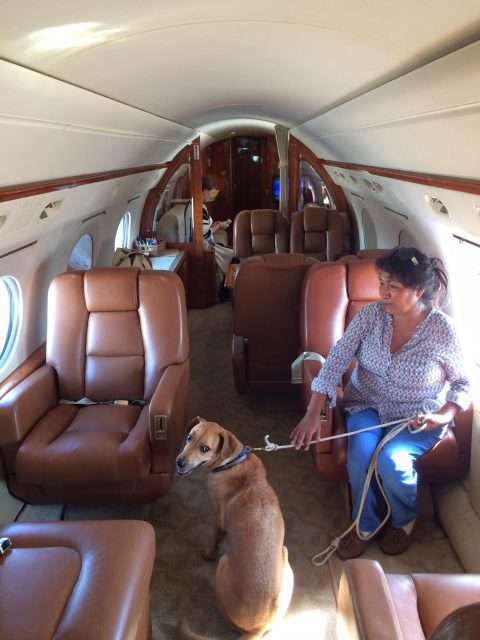 Flying with Pets | Stratos Jet Charters, Inc. Guidelines around flying on private jets with pets have recently changed. Here’s what you need to know. When it comes to taking the entire family on vacation, for some, that also includes bringing along the family pets. Regardless of their furry composition and travelling disposition, for some pet owners, leaving the cat or dog at home is not an option. If this sounds like you and your family, we’ve compiled a list of four things you should be aware of when flying on private jets with pets. If approval for these breed-specific pets is granted, it’s very likely that they would be required to remain in a crate for the entire trip, including the time spent on airport property. It’s a good idea to speak with an agent at the charter company of your choice before you plan on travelling on private jets with pets. 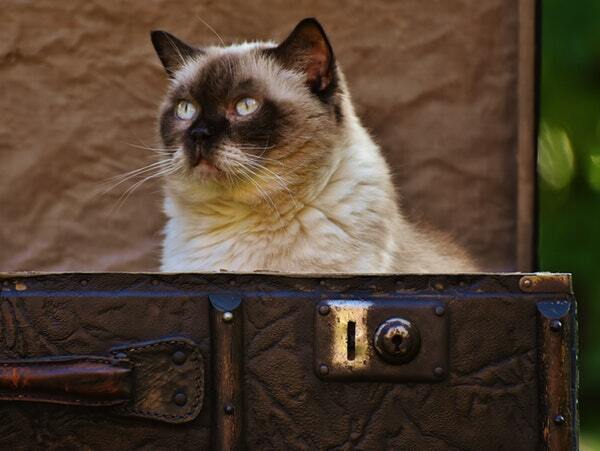 When travelling with your favourite feline, be sure to keep them tucked safely away in their kennel during the flight. If your beloved family pet is of the feline variety, you’ll need to ensure your cat remains in a crate at all times. If you think about it, flying can be stressful for pets. There are the new sounds, different smells, and the new feeling of soaring through the air that may be upsetting to your feline companion. By keeping them tucked away in the safety of their own personal space, your pet will likely be much more comfortable during the trip anyway. If your dog is a medium- or large-sized breed, you may be required to provide a muzzle. Since this is left to the discretion of the air carrier, it’s important to keep one with you just in case. If the air carrier requires a muzzle, and you forgot to bring one, you may be subject to a 100 percent cancellation penalty. It’s important to remember that your dog can’t lounge wherever it pleases during a flight. This is because it’s important to keep the isles clear for emergency purposes. It’s also much safer to have them restrained in a seat during take off and landing. For this reasons, you should invest in a body leash system that keeps them safely secured in a seat. The harness must have a quick disconnect device as well. When booking private jets with pets, be sure to include as many details about your pet as possible. Now that you’ve got the flying on private jets with pets portion of your trip out of the way, you may need to start looking for luxury hotel lodging for your family and your pet. For a peek into some of the luxury hotel chains that accommodate pets, read out previous post: Flying Private Jet Charter & Hotel Lodging with Pets. What else do you need to know? If this is your first time traveling with Bailey or Sparkles, be sure to read our post Private Jets and Pets: 5 Tips for 4-legged Travellers. Looking for a pet-friendly luxury jet charter service? Stratos Jet Charters has access to more than 3,500 pre-screened planes across the globe. With more than 7,000 airports to choose from, we can ensure you make it to your destination safely and timely. Call one of our agents today – (888) 593-9066 (toll free) or request a quote online. To find further information on Flying with Pets please contact our agent at 888-593-9066 or write to us here.